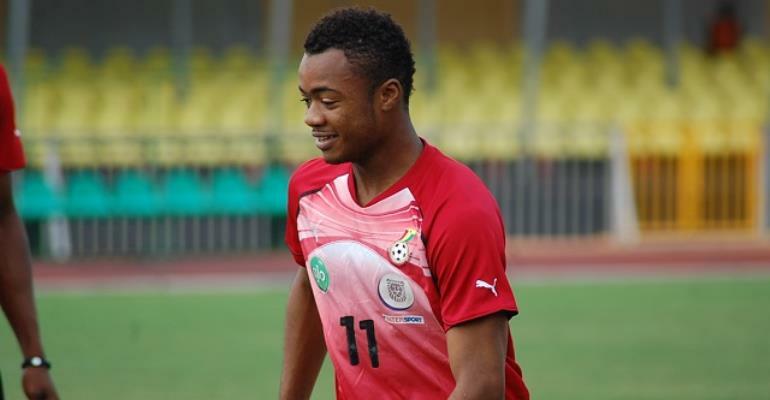 Jordan Ayew has sensationally revealed he was dreamt of being a formula I driver growing up as a child. According to the Crystal Palace forward, he could not accomplish his talent in football until he became a teenager when he considered following the profession of his father (Abed Pele), one of Ghana’s and Africa’s most celebrated footballers. He, however, insisted that his interest in Formula I sport remains one of his favourite sporting disciplines despite switching to football. “It’s true when I was young I used to go behind trade fair and race with my friends that I knew in my childhood. We kept on racing and racing until it became more than a hobby for me,” he told Daniel Oduro of Ghanaweb.com. “I didn’t have the opportunity so I was playing football as well. When you are young, you do several sports and it was football that happened. I don’t know how football happened but it was the one that came my way and I took the opportunity,” he added. The 26-year-old was recently in the Black Stars Cup of Nations qualifier against Kenya and the international friendly with Mauritania at the Accra Sports Stadium. The 26-year-old will be hoping to make Ghana's squad for the 2019 Africa Cup of Nations.